Do you have a cyber A-team? Only experienced executives can create and improve a risk management, threat mitigation and cyber defense plan. And only people can implement and execute that plan. In a people-process-technology equation, without top talent nothing improves. The stakes are too high, especially for public companies, not to have a true cyber A-team. Companies of all sizes should ask themselves: do we have a real cyber A-team of executives and outside experts? Companies should strongly consider re-evaluating their approach to risk management and cyber defense and be more vigilant in making cyber a priority. In short, the cumulative risk equation – the combination of threat, vulnerability and impact – arguably is growing in magnitude, but most certainly in complexity. Today, virtually everyone is playing a high-stakes catch-up game. A survey from Ponemon Institute and Fidelis shows a lack of trust, limited visibility and knowledge gaps between boards, C-Suite and IT security professionals. The survey asked more than 650 board members and IT security professionals (mainly CIOs, CTOs and CISOs) for their perspectives regarding board member knowledge and involvement in cybersecurity governance. Among their findings: 59 percent of board members believe their organizations’ cybersecurity governance practices are very effective, while only 18 percent of IT security professionals believe the same. This underscores the gap in understanding, communicating and acknowledging the threat landscape. Public and private organizations alike face a clear imperative: decisively improve internal risk management assets, leadership and performance……or suffer at your company’s or shareholders’ peril. 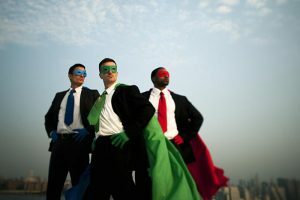 Retained executive search firms are busy matching executive cyber A-players to support their forward-thinking clients. The largest companies and biggest brands can offer the seven-figure comp packages to the very best talent. Although there are only so many of these elite jobs, there are senior roles where comp packages range from $500,000 to $1 million. Smaller public companies typically pay in the $250,000 to $500,000 range for their senior cyber and risk executives. Smaller private companies find it difficult to compete for top talent in this elite pool. What these companies can’t offer in cash comp, they can make up in pre-IPO equity. Close to 90% of the total value of the Fortune 500 now consists of intellectual property (IP) and other intangibles. Rapid technological advances are changing the game and your company’s crown jewels are too often accessible to the bad guys. Cybersecurity has fast become a top priority management challenge and finding best-in-class leaders to be part of your A-team to assess, manage and mitigate threats must be a key element of your company strategy. Previously siloed risk-management functions today must be reinvented, strengthened, and funded more aggressively. We came to Benchmark for their strong reputation and understanding of the Federal landscape. In a highly confidential search, we were seeking a ‘needle in a haystack’ and Benchmark Executive Search helped us find exactly the right leader we needed to support Fixmo’s growth plans. Our ideal candidate needed to be a proven player in the IC/DoD and have the ability to create and implement a strategic plan to achieve significant growth. Their shortlist candidates all hit the mark and we relied on their unique dashboard feature and ranking system, which helped us determine the best fit for the job quickly and efficiently.